If you own a brand, one thing that you cannot afford to ignore is the information that can be seen online about your products or services. 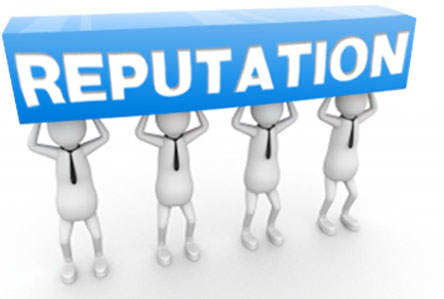 It is hence very essential that you know how to manage your online reputation and steer it towards positive growth. This is a wonder tool to engage with audiences on multiple platforms and manage your reputation on social media spheres. If your brand is well known, you would be making a lot of ripples on social media as well. So if you wish to measure what sentiments your potential customers have about you and your brand, this is the tool for you with its numerous interesting features. Radian6 is not free but all that you pay for it is definitely worth it. However, considering the price, small businesses may not want to go with it. For all those with big enterprises, this tool definitely offers much more than what is takes. It also offers a free trial. This is one of the most loved social media marketing platform that makes the brands aware of what they wish to know. It automatically collates and analyzes data available about your brand on social media to give you a sneak peek into factors like influences, trends that you need to lift up and other stories. The best feature is that it does all this in real time. This application is quite simple to set up and easy to use. All that you need to pay for it is $449 a month. Every account comes with unlimited users and mentions, free training and support. It also offers a free trial. This paid application is known to provide several options for reputation management of any nature. Reputation.com is an online reputation management service that can assist you in removing any blemish appearing on your online visibility. It basically specializes in SEO and gives you a wide range of SEO practices to choose from to keep your business reputation good. It is again a paid tool that lets you monitor what is being said about you, your product or your brand like many other ORM tools. This tool generates reports that convey the sentiment of people talking about you online. It lets you know whether the sentiments are positive, negative or neutral. The report is in the form of a graphical representation and you have the liberty to make horizontal and vertical classifications viz. breaking them down into age groups, location and gender. One big benefit of using this tool is that it alerts you via e mail whenever it comes across something negative about you on the web. Trackur goes through hundreds of millions of websites on the world wide web to include blogs, forums, news and social media channels to report you about your online reputation. This tool is recommended for those enterprises who wish to have an affordable and flexible pricing structure. The price starts at $27 a month which caters to the needs of both enterprise as well as individual users. It also offers a 10 day free trial. Mention monitors the web to inform you every time your brand, campaign or targeted keywords find a mention on the web. It is mainly to be credited for its easy to use interface. What Mention spots about you can be instantly seen by you through their app. You can also configure it to send you daily summary of your mentions on the web. It offers both free and paid plans. This is again a social media monitoring platform that provides you a number of tools to get an in depth knowledge of who has mentioned about your brand, what has he commented and which social media platform are you being mentioned most on. This tool provides notifications via e mail, RSS, SMS or twitter in the event of a crisis appearing in the near future. It gives out near real information about discussions about your brand, employees or campaigns. It also delivers a score to allow you gauge the wellness of your online reputation in comparison to your competitors. This allows over 40 variables to be configured including country, type of media, language etc. Its price ranges between $199 to $2000. About Author: Robert Bryant is a blogger and works with Clarity Way – oxy addiction. He likes blogging about online strategies that are related to Social Media, Online Marketing and Legal issues. What are Long Tail Keywords and How Do They Benefit Your SEO?